Etegami of a bunch of Easter radishes, painted for LW for her birthday (as ever, late again). 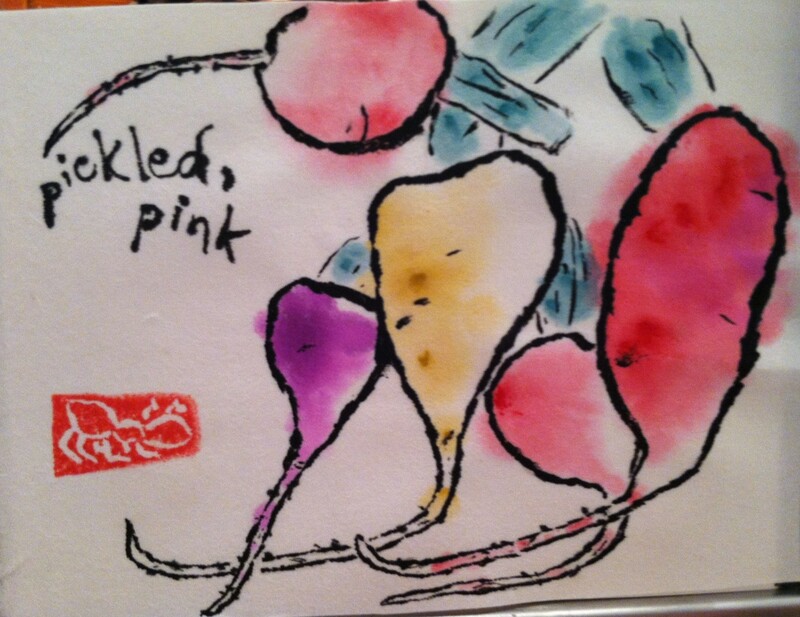 On the backside of the card I’ve recorded a recipe for ume-pickled radishes, which turn the radishes a lovely pink color. 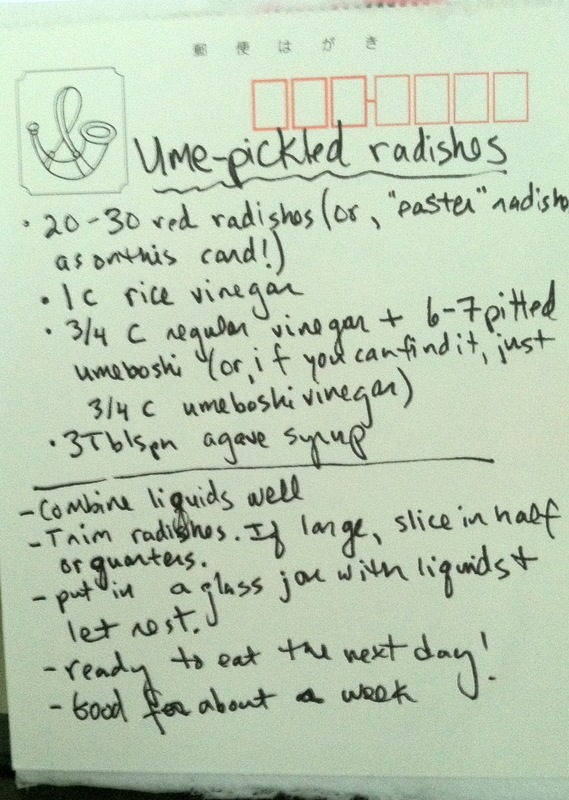 The recipe is based on Just Bento’s excellent recipe here, but I usually just put in pitted umeboshi, instead of the ume vinegar, and use agave rather than go to the trouble of finding strawberry syrup. If you want to learn more about umeboshi, Just Bento’s sister site Just Hungry recently highlighted a Japan Times article on umeboshi. My mouth is watering now!